For the first time in SPEARS Southwest Tour Series history, over twenty drivers will be eligible for the $1,000 to start “SPEARS Frequent Flyer Program”. With the direct support of Spears Manufacturing, the “SPEARS Frequent Flyer Program” awards teams a minimum $1,000 for starting a SPEARS Southwest Tour Series event after they have competed in three consecutive series races. If a driver does not miss an event, they will remain on the SPEARS Frequent Flyer Program for the entire 2018 season. This Friday and Saturday night marks the first dirt and asphalt double header weekend at “Bakersfield’s Place to Race”, Kern County Raceway, with Friday night action at the Dirt Track and Saturday night on the big paved half-mile. Friday Night, The Dirt Track at KCRP will feature the A-Mods, B-Mods, Mini Stocks, and Bakersfield Hard Tops. Spectator gates will open at 6:00 pm Friday with the first green flag dropping at 7:30! Tickets are just $10 for adults. Kids 6 to 15, Active Military, and Seniors 65 and better are only seven dollars. Children 5 and under are FREE! Saturday night Kern County Raceway will be right back at it, with two NASCAR half mile divisions highlight the night. 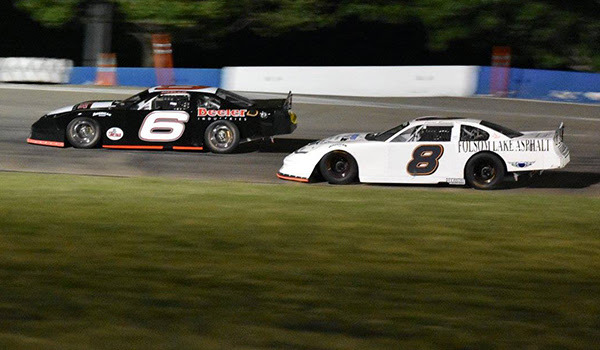 The NASCAR Super Stocks will have their first twin main event night of the year. Drivers will be looking to make up some ground on points leader and winner of the opening night race, Paul Ebersbacher. The NASCAR Spec Mods will make their second appearance of the 2018 season, along with the exciting and fun skid plate races!! Youth racing makes its season debut on Saturday night as The INEX Bandoleros and “The Future Stars of Racing”, The JR and SR Mini Dwarfs will be in action! Spectator gates for Saturday Night will open at 4:30 pm, On Track Autograph session at 5:30 pm and opening ceremonies at 6:15 pm. Eureka, CA (April 17, 2018) – The first race of the 2018 racing season at Redwood Acres Raceway is quickly closing in. The season opening event on Saturday April 28th will be Root 101 Nursery Night at the Races and will be the start of what should be another thrilling year of racing on the 3/8-mile paved oval. One of the unfortunate changes of 2018 is the loss of the Thunder Roadster division which had struggled with its car count the past several seasons. In its place is a brand-new division, the Bandoleros. These cars have a wheelbase of 70 inches with a 570CC Briggs and Stratton Vanguard engine powering the 550-pound machines. Due to the size of the race track, the engines will be restricted to allow safer competition. The Bandoleros are designed to be a stepping stone for young drivers who are looking to move on from quarter-midget or outlaw kart racing. Drivers as young as 8 and as old at sixteen will be competing in the new division. The Northcoast Lighting And Electric Legends will return for their third year of racing at RAR. This division is another stepping stone for drivers who are looking to eventually make the transition to bombers or late models. 2017 champion Tyler Peach used his experience in the roadrunner class to claim his title. Going into 2018, Peach will be the favorite to repeat but doing so should be an even tougher task. Drivers in the Humboldt Hydroponics mini stock division will have their hands full if they want to beat Brett Murrell in 2018. Murrell was an almost unstoppable force in 2017 as he won six times and finished second three times. His strong effort helped him take the division’s track championship in spite of him missing the first race of the season. The Fortuna Wheel And Brake bomber division saw several different drivers in victory circle last year. John Lally took the championship with three victories and had a sizable margin in the point standings. Things should be much closer this season with Kolby Jackson and Bethany Rapp looking for their first wins while Jim Redd will also be one to watch every race. It’s certain that the Mid-City Motor World Super 6 Late Models will provide a lot of action throughout the upcoming season. Mic Moulton only won once in 2017 but steady finishes earned him the championship for the series. Brandon White was a force with three wins including both big-time races the Don Graham Memorial Firecracker 100 and the Dennis Wendt Memorial Mid-City Motor World 100. While both drivers will be favorites this season, they’ll also have to contend with David Henderson who won twice and Marty Walsh who surprisingly went winless in 2017. The North State Modified Series (NSMS), presented by Protect the Harvest, will be dedicating its 2018 racing season to cancer awareness and research. The 2018 “Driving Out Cancer Tour” was inspired by NSMS competitor Rick Avila, 55, of Pleasanton, CA. Avila first noticed abdominal symptoms of a Neuroendocrine Tumor (NET) at the age of 42. He dismissed and ignored the pain for 11 years before going back to the doctor. Three days later he was rushed to surgery to remove tumors in his small intestine. Avila still has many Stage 4 cancer NETs in his liver which are not surgically removal. Avila receives Octreotide injections every 28 days to prevent spreading and growth of the NETs. Because of the treatment, some of his tumors have been reduced in size 10% to 50%. Race fans will be offered special decals, and North State Modified “Driving Out Cancer” Tee-shirts will be on sale at each race track on the tour. Donations for this profound matter will be accepted during the races, or at http://www.valleycare.com/foundation-ways-to-give.aspx. Several drivers, including 3-time NSMS champion Darrin Knight of Kelseyville, and Dustin DeRosier of Cloverdale, have already pledged to donate 10% of their winnings to the cause. The season opener for NSMS is at Shasta Speedway in Anderson, CA on May 12. The North State Modified Series is presented by: Protect the Harvest, Lucas Oil, Ward Land Management, Hoosier Tire West, Sunoco Race Fuels, Naake Suspension, Five Star Bodies, Racer Bling, Keyser Racing Products, and Scribner Plastics. 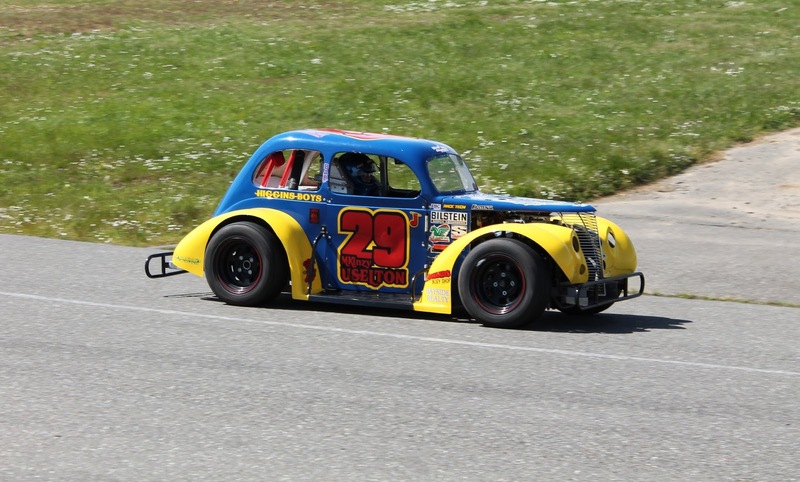 Eureka, CA (April 14, 2018) – With only two weeks left before the start of the 2018 season at Redwood Acres Raceway, MKinzy Uselton and her number 29 team enter the year with excitement and higher expectations. It will be her third year of racing on RAR’s pavement in the Legends division. In 2017, Uselton greatly improved on her rookie season which was her first time ever behind the wheel of any racecar. Last year, Uselton came up a bit short of winning the track championship with a second-place finish in the standings. Her best finish was a second on the July 10th race. She also scored her first victory of any kind in the May 13th heat race. 2018 also marks the return to outlaw kart racing for the young driver. It will be her second year on the dirt as she will once again be racing in the 250 class. The first race of the year for the Humboldt Outlaw Karts is this coming weekend, Saturday April 21st at the Redwood Acres Fairgrounds. The Uselton race team would like to thank their partners whose support is greatly appreciated; Jim Redd Four Star Realty, John’s Used Cars & Wreckers, Site Master West, Joe’s Auto Glass, Higgins Brothers, Bayside Realty, Howard’s Body Shop, The Bud Sisters Salve, Happy Donuts Express Asian Food, Redwood Mechanical and Eureka Payments.